This varnish protects your art from airborne pollutants, UV damage and fading. It dries to an even matt finish, and can be mixed with Artists` Acrylic Gloss Varnish to vary the final finish. It can be removed with Artists` Acrylic Varnish Remover. Chinjoo acrylic matt varnish canbe mixed with acrylic paint freely. The paints will show matt effect after using the varnish, and can be up a smooth vision via reflex the painting surface. Also can be used as matt medium after finishing th work. Looking for ideal Acrylic Matt Varnish Manufacturer & supplier ? We have a wide selection at great prices to help you get creative. All the Quality Acrylic Matt Varnish are quality guaranteed. 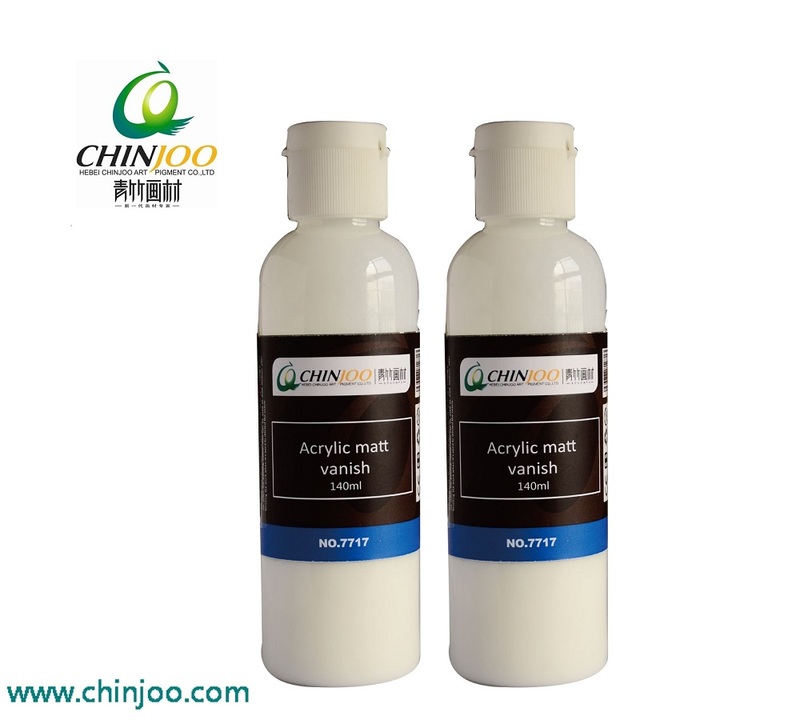 We are China Origin Factory of Acrylic Matt Varnish to Artist. If you have any question, please feel free to contact us.